A light bulb won't solve global warming. This guy's bright ideas just might. 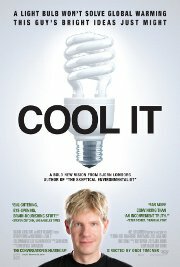 Starring Bjørn Lomborg, the controversial author of The Skeptical Environmentalist, this film examines the ideas in that book. They take on the issue of climate change, challenging the status quo, and pointing toward new science and technology that might hold the solutions for our future. Too cold for polar bears!